Auzscot Constructions is proud to be one of the most diversified polyethylene piping and fabrication specialists in Australia. Based in Cloncurry, Queensland with branches in Townsville and Olympic Dam, we have the capabilities to handle even the largest project – anywhere in Australia. We are committed to delivering superior quality poly pipes, fittings, and fabrication with ‘on time’ delivery that meets or exceeds our clients’ expectations. Our aim is to build lasting relationships with quality products, exemplary customer service, and fair pricing. For expert advice or a free quote on your next pipeline project, call Auzscot Constructions today. We make and supply custom poly pipes of all lengths, ratings, and coils to suit any application. Our expert team of designers, engineers and project managers work collaboratively with clients to fabricate our pipes to the clients’ unique specifications. An internationally accredited company, Auzscot Constructions operates on a strict code of ethics to deliver polyethylene supplies that are defect-free and cost-efficient. A full-service fabrication company, we also manufacture all fittings and fixtures to fit custom pipes. Auzscot Constructions is one of few fabrication companies with infrastructure capabilities and technical expertise to produce prefabricated poly pipes. In the controlled environment of a warehouse, the quality of prefabricated pipes can be better maintained which can significantly reduce production costs. The installation process is not weather-dependent and can be simplified with easier welding parameters and less reliance on external power generators. For more information on prefabricated poly pipes, contact Auzscot Constructions today. In time critical scenarios of field fabrication, effective installation depends on the right equipment and tool, as well as, the right welding systems. Our project managers and crew are trained to deliver timely, cost-efficient installation of custom pipes to the client. 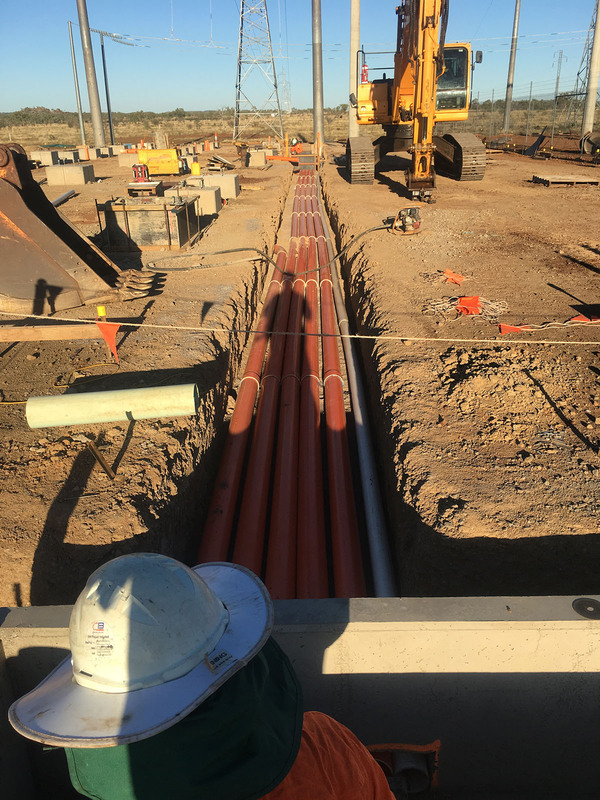 Auzscot Constructions supply pipes to Olympic Dam, South Australia. Our pipes are customised to the client and can come in any length, rating or coil. For more information on our comprehensive pipe fabrication services contact us today. Contact Auzscot Constructions today to arrange a quote. Auzscot Constructions is built from experience to form its trusted and highly reliable capabilities in the Building, Construction, Mining and Engineering industries throughout Australia.